SHOW-STOPPER! Nestled on nearly an acre lot in the gated Brookside Parc neighborhood this ranch floor plan is LIGHT, BRIGHT, OPEN AND AIRY! Kitchen with custom design white cabinets, gathering sink, granite counter-top, subway tile back splash and stainless appliances. Center island boasts additional seating, storage and was built with wood cut from the family farm. 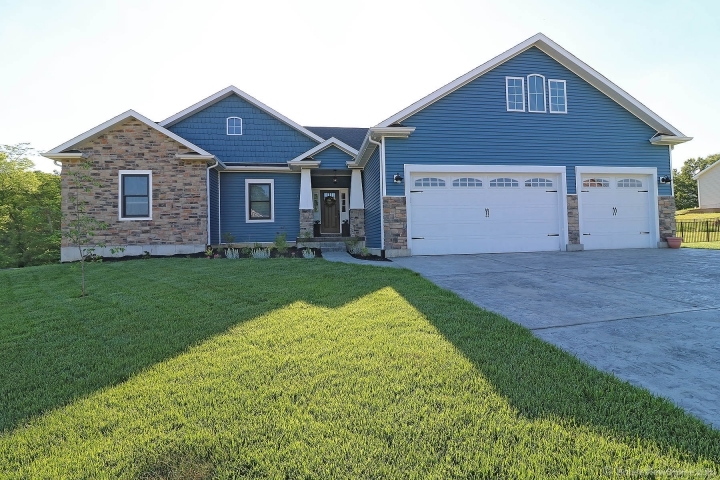 Entertain your guests in the outdoor living room complete with stamped concrete, ceiling fan and view of the fenced backyard that backs to woods. Master suite has garden tub, separate water closet, tile accent flooring and stylish barn door. Attention paid to every detail: black framed windows, wide plank flooring, wood burning stove, 9ft ceiling on main level and 9ft pour at walkout basement and main floor laundry with work sink. Oversized 3 car garage offers plenty of storage of space. Gorgeous home, upscale neighborhood, large lot, public utilities in the Hillsboro School District...THIS WON'T LAST LONG!